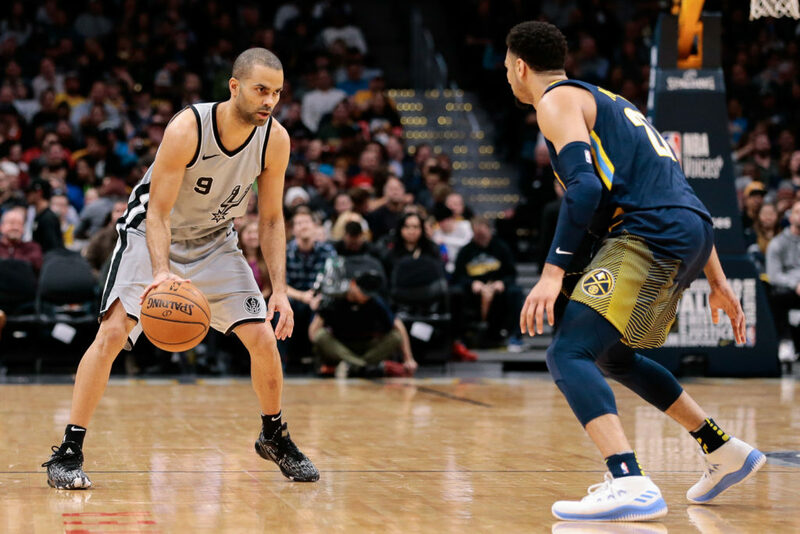 According to ESPN Insider Adrian Wojnarowski, the Denver Nuggets are reportedly interested in longtime San Antonio Spurs point guard, Tony Parker. Parker would give the Nuggets a veteran point guard off the bench who would fill a role that Denver needs. With Jamal Murray and two-way contact player Monte Morris as the only point guards on the roster, having a veteran like Parker would be helpful to say the least. Heading into his 18th NBA season, Parker had a solid 2017 campaign averaging 7.7 points and a team high 3.5 assists per game. Playing in just 55 games, Parker fought off a nagging leg injury and started in just 21 games, which was by far his lowest start total of his career, after the Spurs gave the point guard keys to Dejounte Murray. For a veteran 36-year-old like Parker, it really comes down to what he has left in the tank, and if he believes he can still be a solid contributor in the NBA. Also, for a team that consistently has trouble getting the ball in the post to Jokic and other fundamental issues, Parker would have no problem fixing those nagging discrepancies the moment he steps on the court. With just three reported suitors, the Nuggets could potentially wait on signing Parker until after they see how second-year point guard Monte Morris performs at summer league over the next week. Morris has a huge opportunity in Las Vegas as all indications point to the Nuggets organization giving him every chance to earn the back up point guard spot going into next season.